Cut the butternut squash into small cubes, finely chop the onions, celery, carrots and potatoes. Sweat in butter with the butternut squash cubes. Infuse with vegetable stock and orange juice. Add the ground paprika, salt, pepper to taste. Simmer on a low flame for 15 minutes until soft. Fold in the cream. Blend and season to taste. Garnish with fine stripes of red pepper or the chive. 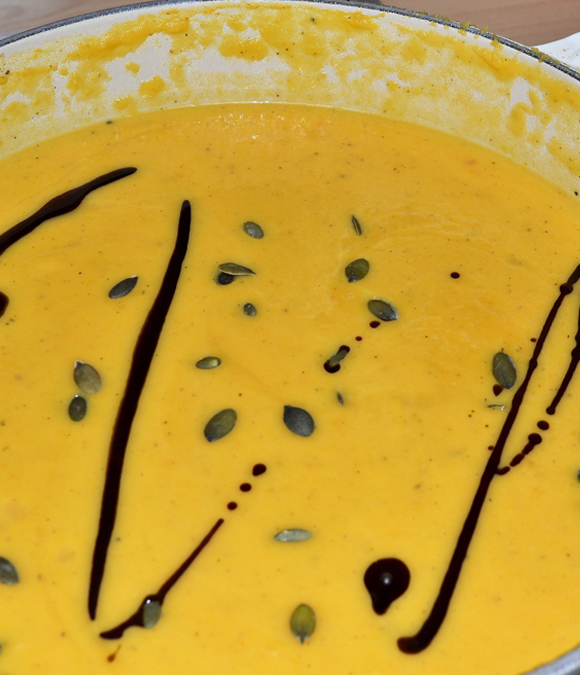 Serve in a soup bowl and drizzle with Styrian Gold Pumpkin Seed Oil.